The Manitoba Food History Truck at St. Norbert Farmer’s Market. Photo by Kimberley Moore. Bison and parsnips prepared by Chef Steven Watson at Commonwealth College. Photo by Kimberley Moore. 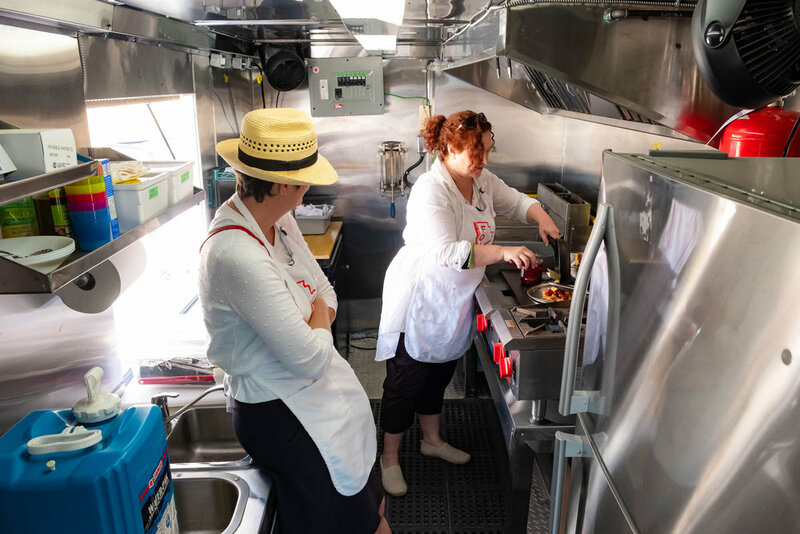 Janis Thiessen and interviewee Karen Peters cooking on the Manitoba Food History Truck. Photo by Kimberley Moore.